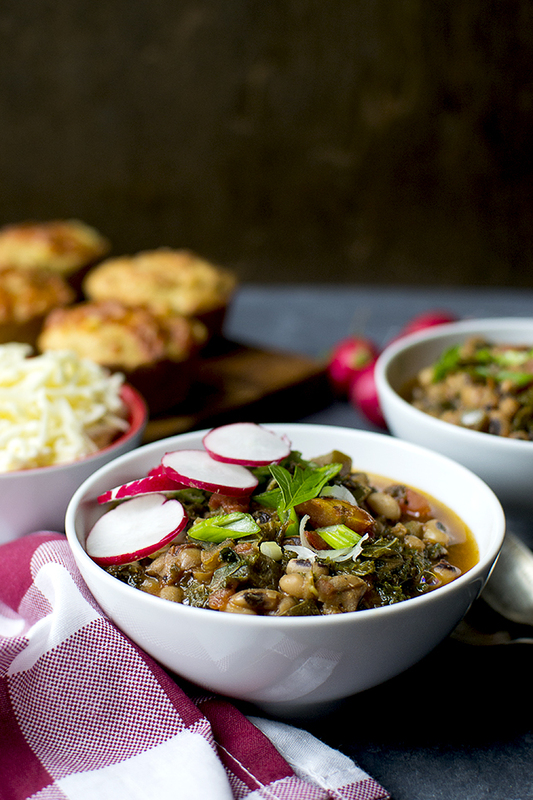 Recipe for spicy and delicious vegetarian chili made with sweet potato, quinoa and black beans. 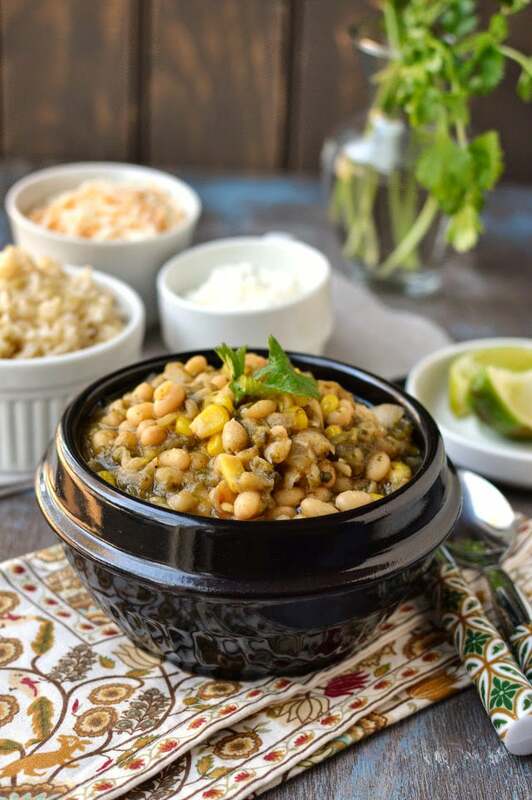 It’s a hearty and filling one pot meal. 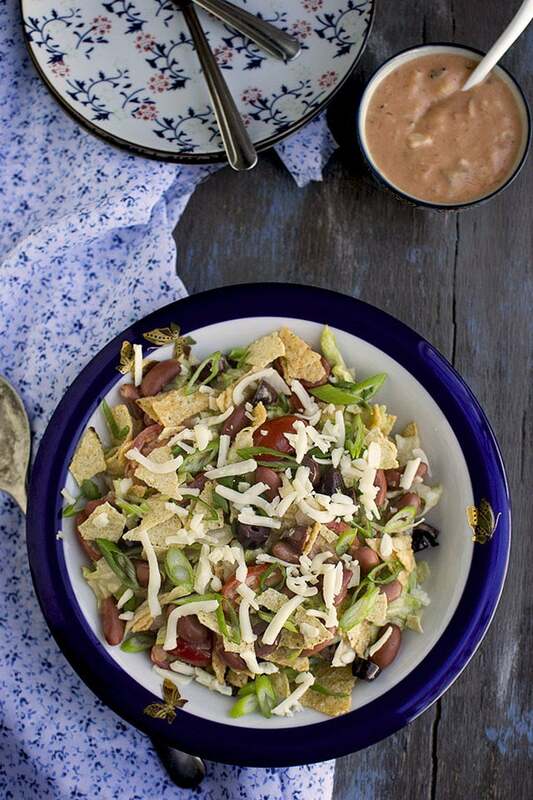 Recipe for flavorful and delicious vegetarian Taco Salad. 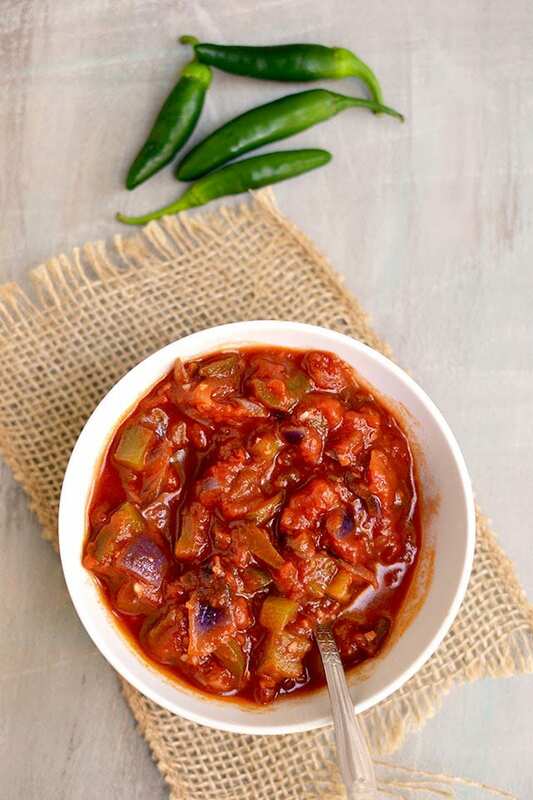 Salsa Picante — a spicy condiment made with cooked veggies. Great to serve with any Tex-mex dish. Vegetarian Rice & Beans Burrito with Queso Sauce is a filling and delicious meal. 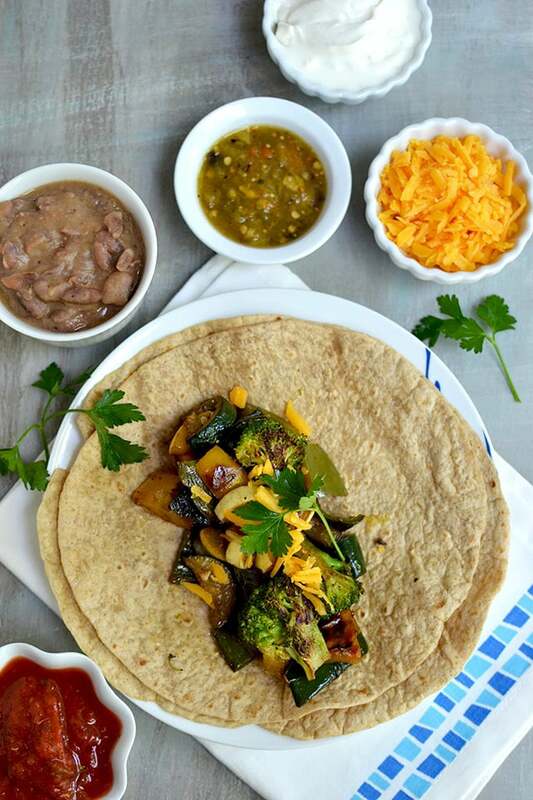 Vegetarian version of fajitas with sauteed veggies flavored with homemade taco seasoning. Grilling the veggies is a better option and makes them taste much better. Roasting is also another great option to cook the veggies. 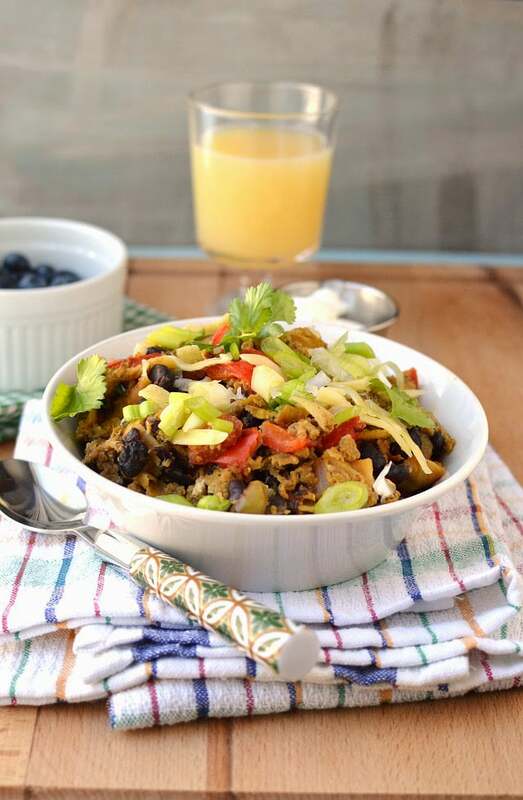 Blogging Marathon# 49: Week 1/ Day 3 Theme: Brunch Recipes Dish: Migas with Black beans Eggs form a very important part in breakfast and brunch menus, for egg eaters that is. So when I’m planning a brunch for my egg eating friends, I usually make a frittata (a big fat baked omelette with lots of veggies) or a quiche (egg based pie). One of my Turkish friend recently introduced me to Menemen (Turkish scrambled eggs with veggies) and that tasted awesome. 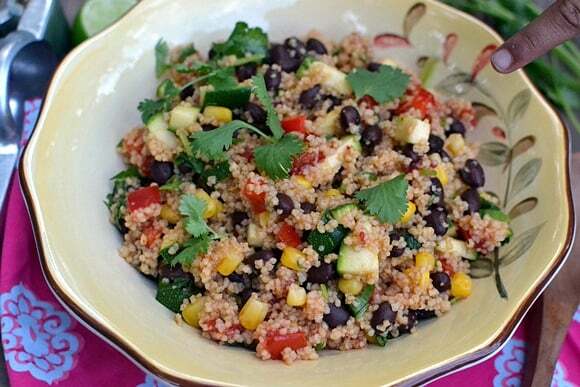 For Day 3 of BM# 17, I made this very quick and easy South Western Salad with couscous. I think any grain can be used instead of couscous and the salad would taste equally delicious. Using couscous cuts down the cooking time considerably. Recipe is from Whole Foods website. 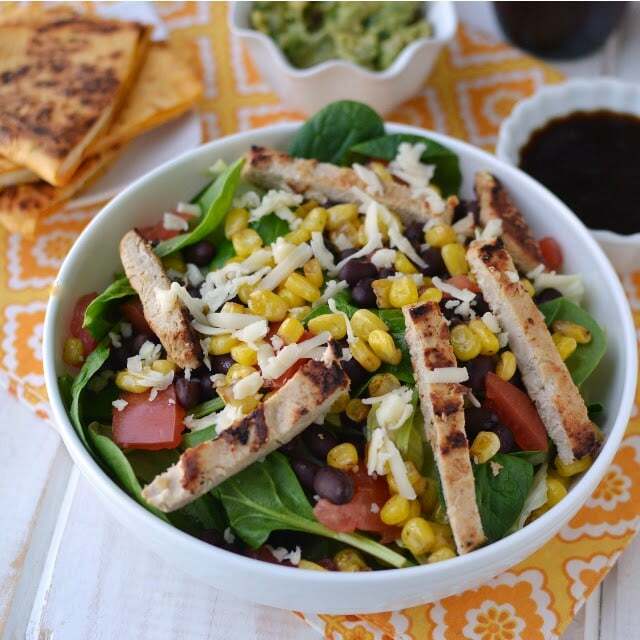 This is a very colorful and healthy salad. Ingredients can be easily substituted with what you have on hand. A perfect dish for summer BBQs and the leftovers taste great chilled the next day for quick lunch.